The Australian ETF sector grew by 39 per cent in 2017, and is set to continue growing, but there are a few things investors need to know before jumping in. 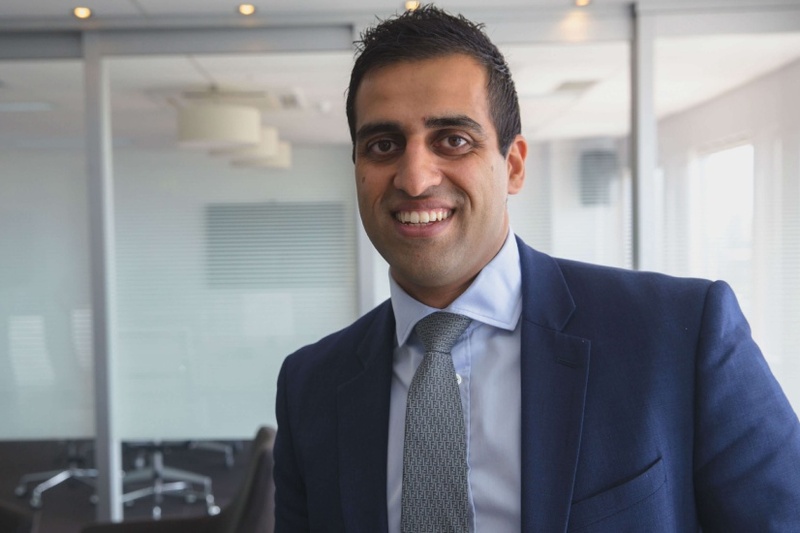 With this in mind, the Nest Egg podcast team spoke to ETF Securities Australia associate director and business development manager Kanish Chugh to get the low-down on what’s happening in the ETF space, the opportunities he sees and what investors should be aware of. 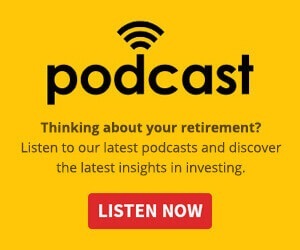 Thanks, Kanish, for sharing your insights with the Nest Egg podcast team! You can stay up to date with what Kanish and ETF Securities are up to here. David: Good day. Welcome to the Nestegg Podcast. David here kicking off 2018 with midway summer, so if we'll just come back off our trips. I think it's taken me a little while to get back into the swing of things. But I'm joined today with a journalist from Nestegg Lucy Dean. Lucy: Hello. Nice to meet you guys. David: Lucy, it's our first podcast, but I'd like to get you involved in a few more going forward. To also kick off the year, a new topic that we want to discuss quite a bit on over 2018 and beyond, and I've got the man himself, Kanish Chugh, to talk about this a bit more from ETF Securities. Kanish, thanks coming in. Kanish: Thanks for having me. David: So I think for kicking this one off, this is a topic, which ... Kanish and you can elaborate on this as well a bit more, but this is a topic in ETF world, which people need to learn a bit more about, or people want to. Essentially, there's a lot of opportunity here in the market, which I think investors haven't tapped into just yet. Kanish: That's 100 per cent correct. So I think what we're seeing is the adoption of ETFs across multiple parts of the portfolio. Especially more so over the past 24 months, over the past two years, the market itself has grown roughly around just 39 per cent just in 2017. So it's about 175 products strong across multiple asset classes with an AUM of just it's just together 35 billion. David: Yeah, so it's a lot going on. David: Someone told me, I read this somewhere, by 2020, I think the market is meant to double or something like that. The actual capitalization of ETFs. Kanish: Yeah. So I think what a lot of people are taking that inspiration from is the Canadian market. The Canadian market is very well positioned in terms of where we were. Roughly around, so essentially the Canadian market currently sits about $90 Billion across, I think, it's probably close to now 400 products. But in terms of the make up with the Canadian market in terms of the investments, portfolios, clients, intermediaries, financial planners, or stock brokers, it's very similar to the Australian market. Kanish: So I think that's where they see that growth. Even if we take just a basic 30 per cent year-on-year growth for the next three years, you're going to be sitting at about that $85-90 billion by the end of 2020. Kanish: That's just very average 30 per cent growth rate on just the current AUM of where we are now. David: Yeah. For sure. Sorry, I forgot to introduce. But give me a bit of background as to who you are, and where you are in the ETFs Securities Australia, and a bit of an idea as well of the company itself. It'd be really handy for our listeners. Kanish: Yeah. Sure. So my position in ETF Securities is a Social Director in sales. ETF Securities for a lot of people that don't know is actually the second oldest provider in Australia. So we started here by a man named Graham Tuckwell. He essentially launched the world's first physically black gold product. So if you wanted to get gold exposures, you would either physically go buy it in a volt, you would buy a gold mining stock, or through an ETF. It would give you the opportunity to actually have that exposure without having to maintain physical holdings of it. That was the very world's first ... you know, the world's first gold product here, and that was back in 2003. He then launched the firm over in Europe, and grew it to a size of about $30 billion. But essentially, ETF securities grew from there. We actually went into a joint venture with ANZ, and that was in 2015. Through that joint venture, we launched a range of equity products, both Australian equities, and international equities, and we launched a range of currency products as well. So that joint venture unfortunately was disbanded in early 2017, April 2017. Essentially that was purely because ANZ had a shift in their vision of where they see their place in the market. They wanted to move out of wealth management. We've seen that more so with some of the other decisions that they've made recently. Where we're at now is ETF Securities bought back the 50 per cent stake that they had in that joint venture. ETF Securities now has around 15 products, just over $910 million in assets here in Australia. Lucy: So, I mean, just breaking it down further for people who might just be ... because, I mean, as you said before, there is a fair bit of interest, but a lot of people might not even know how it works. So, I mean, can you say how, what is an ETF? How does it work? Kanish: Yeah, so an ETF, the acronym is Exchange ... stands for Exchange Trader Fund. But if you flip that backwards, it's a fund that's traded on exchange. So if you've ever used a managed fund in the unlisted form, which a lot of people would have, essentially that's what it is. It's like a managed fund. It has the same legal structure as a managed fund in terms of it is a managed investment scheme. But you can trade it on exchange. What that means is, it essentially gives you the ability to now add on advisors, but it gives you the ability to buy and sell that particular e-product in trading. That price may move, and that price should reflect the underlying basket. So it gives you the transparency of what the underlying basket is. ETFs traditionally have always been passive. So they're always replicating an underlying exposure. Now that underlying exposure could be a basket of shares. So say you take our ASX 100 ETF setters that I ... So if you wanted to buy the top 100 stocks in this trading market by market count, what could you do? You could either buy an unlisted managed fund that replicates that index if there is, which there isn't. You could go buy all 100 stocks in their exact waiting, or you could buy this one product, it has a stock code. You can trade it via your financial advisor, you can trade it via an online brokerage account like CMC markets, or Commsec. Essentially that's what I'll advise you to do. But what we're starting to see with ETFs is, it's not just equity market. So you don't just have an ability to buy a basket of shares. You can buy physical commodities. So like I mentioned GLD, which is a physical gold product that we have. US dollars, so you can buy physical US dollar exposure if you wanted to. Fixed income, so you could buy straight out cash, you can buy a basket of bonds. So now you're seeing a lot more of that exposure is a different asset class, and that's where we're seeing with the ETFS. David: I think that's the key word as well. It's so good to, and everyone is thinking of ways they can diversify their portfolios and become prepared for whatever financial outcome is going to happen over the years to go. But that word, exposure is huge. Having access to assets and markets, which you wouldn't necessarily be able to, or think about, I think for a fund. I think that that's the beauty of what I've seen personally, as well as an investor through ETFs is that I can get access to, or exposure to a huge amount of assets in the market, which I wouldn't necessarily hadn't a really keen idea on before I do my research. But I think that's the future of where ETFs can go is that you've got a broad horizon of what you have access to. Kanish: Definitely. I think that's one thing. I don't know the exact stat, but I think it's roughly around Australia makes about 2 to 2.2 per cent of the global world market cap. So in term of where we are as our place in the world, it's very small. But if you speak to a majority of Australian investors, they'll probably have close to 70 if not more percent of their portfolios sitting in Australian equities. Now some may say that you can get some global exposure by buying some of the stocks that have operations outside of Australia. So say BHP for example. But what I would say is what ... because of the use of ETFs, the advocacy of managed funds as well, and other leaks, but you're starting to see the ability to gain exposure into other markets or whether its other sectors. So we've got a few clients. I've got a few friends myself that would say, "Well, I want Apple, Google, or Facebook exposure." So you can either buy those directly. Now some exchanges allow you to buy international shares, which is fine. There's a slight additional cost. But if you don't have an insight into overseas markets, and what actually drives those stocks and what actually drives those markets, and the currencies exposures, et cetera, well, you can buy an ETF that gives you that exposure directly. And, it's for a very low cost as well. David: Yeah. For sure. That's the thing; you pay ... when you trade a stock, you pay the brokerage, you have a commission on there. And there's which in a way takes the limelight away from your investment a little bit from day one. Kanish: With an ETF, you also still have brokerage. Kanish: Yes. But it's different being a domestic. So all the ETFs that you may buy would be listed here on the ASX, so it's treated as a domestic share. So the brokerage will be considerably less in saying, but you may pay for an international stock. David: So I think it's just that cost effective from purchase at least, and then you can ride the wave of the investment that you've got in mind as well. But I think that leads nicely over to talking about technology, and having different companies in the market people want exposure to. Mega trends in Australia, and mega trends in the world are taking a bit more of a big lime light across there as well. And, the spotlight on that is through products such as Global Tech, which I know that you guys specialise in as well now. Kanish: Yeah, exactly. That's part of our future present range. So we launched this last year. Essentially within that future present range, we have two products. We have a global morning star technology ETF, which is TECH, and we have a robotics ETF, which is ROBO. That robotics ETF is a not-thematic product that focuses on the mega trend of robotics automation, and artificial intelligence. Again, the premise behind launching those products was giving investors the ability to gain exposure to something that was; one, not available here in the market. So both those products are unique in that their exposures are you couldn't get pure tech exposure through any ETF, or any managed fund. So if you just wanted just tech exposure, how would you do it? So this gives them the ability to do that. Also, with robotics, and automation, and AI, it's a buzz word at the moment. It's the talk, very topical, everyone is looking at it. But if you wanted to look at thematic investing, essentially we're trying to say; well, if you want to invest in the future growth and where you see the world going, you may not get that exposure in your ASX 200 product, or you may not get the exposure through investing in CBA, and other blue chip names. What we're trying to say is we can provide that exposure, and that's where the ETFs come in handy. Lucy: Going on off our tangent here, the robotics stuff is something that I'm really interested just from a, I mean, from a work point of view. As someone who works in finance, and investing, what's your take on the idea that robots one day might be able to do your job better than you can yourself? Is that something that frightens you? Kanish: No necessarily. So I think we had our head of research, James Butterfill here in October. He was talking about ... we had the same question from when we did a bit of a road show to the financial planners, and advi- and stock brokers. The response he gave was very good. Essentially, at every point of big changes in the industries, and markets, so you had the adoption of the steam engine. People went from being cobblers and fitting horse shoes to then having to work at, "Well, how do I find, what can I do? I need to re-skill. I think that's what will happen." What we're saying though is the trend of robotics, and automation, and AI, it will take some time. It's not going to be tomorrow that all of us are going to be out of a job, and robots are taking our place. What you do see is that there's higher use of robots, and automation, and artificial intelligence in certain industries. So in manufacturing, and automative ... automotive, sorry. So they're the two industries that you really see big uses of. But over time, you will see it become more prevalent in other industries. But it will take that time. If you ever got a chance, jump on Google, and actually search Chihuahua versus muffins. Kanish: What you see is it's an AI test of an artificial intelligence where I'm trying to work out of a set of, I think it's 12 pictures, what is a muffin, and what is a chihuahua? Kanish: Even from the human eye, you can't do it. David: I've seen this. Yes, it's definitely worth checking out. Kanish: So there is still time, I guess, before we get to the point where it's a Terminators sky net scenario. But I think as that ... as you get to those points, you're going to have, and start getting new jobs. When people had emails come out, they thought, well that's going to remove a lot of jobs in terms of organisation, and admin. So the idea of secretaries, for certain industries, that's going to remove those jobs. But it moves into being PA's and EA's. You start to re-skill and reorganise. The idea of having excel, probably the idea was we could be more efficient with our time in terms of calculation and models, and instead of working five days a week, we could work three. Doesn't work like that. So it will take some time. David: Okay. I give it six weeks to replace my job. I'll be out of the door. But even last night, I was reading this article, and this is something, which is really new. But AI is now capable of creating its own AI. So there's AI, and this is something which is almost like a mother-son or mother-daughter situation where you can learn from a piece of software that's pretty much been created by us anyway. So like you said, there's a lot of growth in particular with these products. But the actual breakdown of, say for example, the ROBO ETF, as we're on topic, what kind of companies? I know you mentioned that there's some automotive in there. I'm guessing maybe some healthcare or something. Kanish: Yeah. So I think that's the things. So what that product does is it tracks an index from out of the US. Now the US index is ROBO global index. That started five years ago, and the idea behind it was it's trying to invest in stocks that take majority revenue from this theme of robotics, automation, and AI because that particular trend doesn't have a geeks' classification. So you could take healthcare as a sector, but you can't take robotics, automation, and AI as a sector specifically. So this is what the idea behind the launch of that index was. So what it tries to do is it tries to analyse all industries. So it's industry agnostic, sector agnostic, it looks at all developed markets, and it looks for companies that are generating revenue from either produced from the technology. So something like John Deere. So John Deere is a tractor Firm, but it sells I think it's close to 70 per cent or 80 per cent of its tractors are automated. Kanish: So what we see as just a tracting ... a tractor firm, it actually is an automation stock you've got in there, it's called Yaskawa. That sells industrial robots based out of Japan that's had significant growth last year. So these are the sorts of stuff that it's looking to invest in. So it either invests in stocks that are generating revenue from selling the technology like John Deere, or it invests in stocks that are using the robots to generate revenue. So whether it's logistical, from a manufacturing perspective, whether it's in the healthcare sector. So the Da Vinci machine is one. They claim that every 60 seconds, the Da Vinci machine is used in some form of surgery. Essentially, it is a robot. It's controlled by a surgeon. But the reason why it's being used so much across multiple different types of surgeries; whether it's heart surgery, or brain surgeries, or just hysterectomies, et cetera, is purely because it removes the stammers from the surgeon's hands. Kanish: It's very precise, and it's very accurate. So it's more time efficient essentially. David: This is like a, just for a very small micro-hand movement, it's actually a beast of a machine as well. Kanish: It's a ... yeah. David: It's like transformers, you've got to get into it. Kanish: The cost, I think, each machine is roughly around $2 million if not more. I was reading it earlier. So they're the sorts of stocks that this particular index is trying to invest in now. Those sorts of stocks, if you would have asked me 12 months ago, would I know what the Da Vinci machine was, I'd probably say no, I wouldn't. Lucy: I didn't know about it until right now. Kanish: Yeah. So I think as the thematic products are starting to do like ROBO is it gives you exposure to stocks that you would never have heard of. You want to invest in that thing. You believe in it. There is significant growth in it. It's all more than 30 per cent return over 12 months to the end of December. So what we're trying to say is an ETF is a very easy way to do it, and it's a passive product. So we as ETF Securities aren't making any decisions to say we should invest in John Deere now or we should get out of it. All we do is we track the index, which is run by an index provider out of the US. David: Well, there's also some, and I'm sure there's people listening out there now who are absolute terminators out there who are like, "No, I don't want anything to do with that Kanish." But for that as well, I think, Aussies love their equities, right? That's a bit more of a historical background behind it. It's got a bit more of a, in a way, something which is more tangible as well sometimes. So that's also where gaining exposure through ETFs is not just at looking in the future, or present, it's also looking at what's happened before, and learning from that. So I'm guessing with the Aussie equity ETF, that's something which includes those pieces too. Kanish: Yeah. Exactly. This is what I would call, depending upon who you speak to, they may use different buzz words for the ZYAU products, whish is our high yield Australian Equity strategy. Some would call it a smart bidder ETF, some would call it a factor based ETF or rules based ETF. Essentially, it incorporates a set of rules that are different to a traditional market cap weighted fund. When you think about a market cap weighted ETF, so the ASX 200 product, or ASX 100, that's the plain vanilla. Everyone knows that that's what they're getting into. It doesn't do anything interesting besides just investing in the top 200 stocks. As you start to change the weightings of the index, as you start to incorporate rules to screen out certain names, that's when you come to this classification of rules based approach, that's what ZYAU is. It's a rules based approach looking at the Australian equity yield market. So what we're trying to do is it actually incorporates both dividends as buy backs as a measurement of yield. So all the other equity yields strategies in the market from an ETF perspective are only looking at dividends. Whether it's forecasted or historical. So what we're trying to say is you have to also take into account an element of shared buyer backs at the underlying stocks too. So what it does is it takes 40 stocks from the ASX 300 based on that combined yield element. But it also incorporates certain screens to try and mitigate some of the dividend traps that you may get when you're investing in the ASX 300. Some of the smallest stock names that are in there. So one of the filters for example, each stock has to be trading a million dollars a day in trading. Each stock has to have a growing dividend rate over the previous 12 months. Then each stock has to have enough cash on its balance sheet when the index re-balances to pay for any dividends of buyer backs that previously should have participated in. What that does is it actually removes some of your traditional big names. So we come out with a portfolio of 40 stocks that has an active share of that 77 per cent of the ASX 300. So what does that mean? 77 per cent of this portfolio is different to the basic ASX 300. Kanish: It derives 40 stocks from that, but it has that active share element to it. So it may not have all of the banks in there. When we launched the product in 2015, it had none of the banks. So for an Australian equity yield product that was yielding that time 5.6 per cent, fast ranking credits on top, it didn't have any of the banks. So when we look at this product against some of our competitors, and talk to clients, we say, "Well, where is your Australian equity portfolio positioned?" A lot of them will say, "Well, our intels around the banks are on BHP, and Rio." Well, we'll say, "Well, do you want to diversify your portfolio?" That's the big buzz words as well, diversification. How do you diversify, or why remove some of that risks that you may have. This is one of those as far as they can do that. David: I think with, because it's on the exchange rate. So in a way, an ETF shouldn't be treated like a stock in my opinion. Some people may differ to that as well. But I don't know. Would it be a waste if you looked at it like a stock in terms of the performance? Because it's a group of, it's an entity of a bunch of things, right? Kanish: Exactly right. An ETF, as I said before, should be viewed as you would view a managed fund. You're generally buying an ETF because you're having, you're wanting to take exposure to the underlying basket of shares or the underlying exposure that you're getting, it's you may if you want, have a very short term investment horizon, but traditionally it's going to be medium to long term investment horizon. You wouldn't necessarily be trading day trading ETFs. There are, I'm talking about, that there are ETFs that if you wanted to take short term exposures, you could like for currencies or certain particular sectors or regions. But you're generally, for example, in the ZYAU it's a long term investment. Also, when you're trading an ETF or you're looking at an ETF, you can't look at it in the same way you would look at a stock because a stock is closed ended, which means it has a fine arts supply of the number of outstanding shares. ETF, like a managed fund is open ended. So when the need to grow the size of the ETF, we simply create more units. So we issue more units on the ETF. What that means is the price on the screen that you will see should be reflective of the underlying basket. So there shouldn't be any premium or discount to the NAV, to the Net Asset Value, which you may get with a leak for example. Lucy: So on top of that, so you can't look at an ETF like a stock. Are there any other big misconceptions that you hit up against all the time that you might want to like address for people who are just starting out. What can turn ETF into a WTF? David: Yes. So glad you said this. Lucy: I have it written down. I wanted to say it. Kanish: One of the biggest ones is liquidity. So when a client looks at an ETF, they say ... When we launch an ETF, we launch it with sit capital. So when we launched one of our products, we may only have a million dollars worth of assets under management in that product. It doesn't necessarily mean, so ZYAU, the high yield Aussie equity product is an example of that. So that product launched with a sit capital of 500,000. It's now sitting at just around I think it's 45 million at the moment in assets under management. But what that product is, is you can't look at the liquidity of the product based on what you're seeing in terms of the product's asset. It's based on the underlying basket that it can invest in. So if we had, and we did this calculation, if we had a $75 million investment into ZYAU tomorrow, it would only take up 20 per cent of the average daily volume of the underlying basket that we're investing in. So in terms of the total market cap. What we're trying to say is the liquidity of an ETF is based on the underlying. It's not based on the actual product that you're looking at. You're essentially buying the exposure to the underlying. So if the underlying exposure that you're buying into, there is always a liquidity risk with any investment. So if the underlying exposure that you're buying into is small cap emerging market equities, you may have a higher liquidity risk, and that will be reflective in the spread that you're ... when you trade the product. If the underlying exposure is your S&P 500, which is the US market, the liquidity risk is going to be considerably low. As an ETF provider, what we're trying to do is we would manage and look at the liquidity risk when we launch a product. We, I can't just start. We don't want to be launching a product with a high liquidity risk, so we want to launch a product that, if there was further investments into a product or if clients wanted to sell out, they have the ability to do so at the price that is reflective of their basket. David: Well, I think I'm going to have to go and convince my boss that, and we're going to have a robot replacing me in the next few weeks, right? Lucy: I mean, me too. Financial reporters. I'm out if that job can be automated. Kanish: Sales. You never know. David: Kanish, thank you very much for coming in. I think one of the bigger thing is rather we want to follow through. As I said in the beginning, we want to cover more across the ETF cycle, and what's happening over 2018. But you can also follow the guys over at ETF Securities Australia over the years to come I'm sure. As long as we don't all get abducted by robots, or AI crazy things that come out. Lucy: They're having kids now you know? David: That's what I mean. Lucy: Maybe they'll be sent, and human, and we'll have to treat them as such. David: Yeah. Scary times ahead. Well, hope you'll make it to next months podcast as well. Kanish: For a start I think we'll be fine. David: Kanish, thank you very much mate. Thanks for tuning in to the Nextegg podcast this week. You can also follow us on Facebook, Twitter, all over the social media these days. If you need any other coverage across here, you can always check out our newsletters and the website as well at nestegg.com.au. If you're planning, investing, and managing. That's all from me. So thanks again for listening, and see you soon. Can we make the blockchain liable?